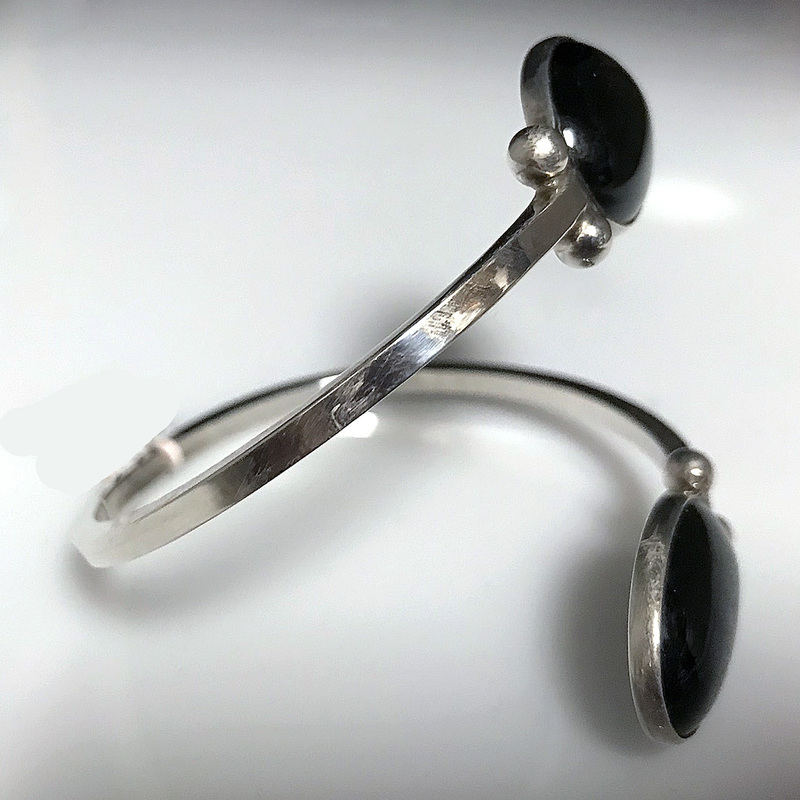 Modern Classic Jewelry - This is a fun and light slip on bangle bracelet created from square sterling silver tubing with an oval Black Onyx cabochon (25mm x 18mm) on each end. 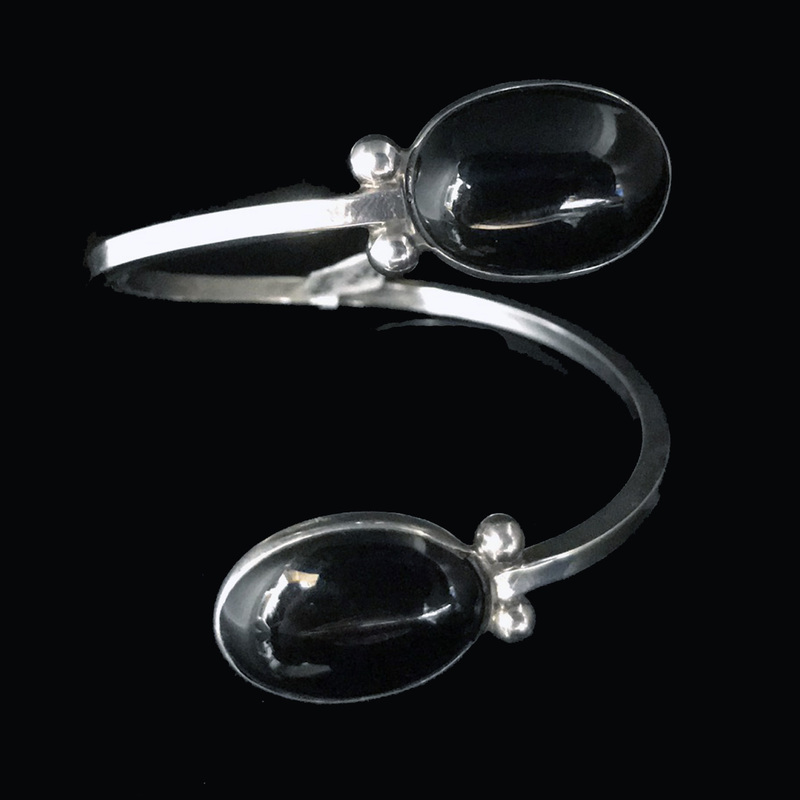 This is a simply elegant handcrafted Sterling silver bracelet featuring, on each end, two oval Black Onyx cabochons. 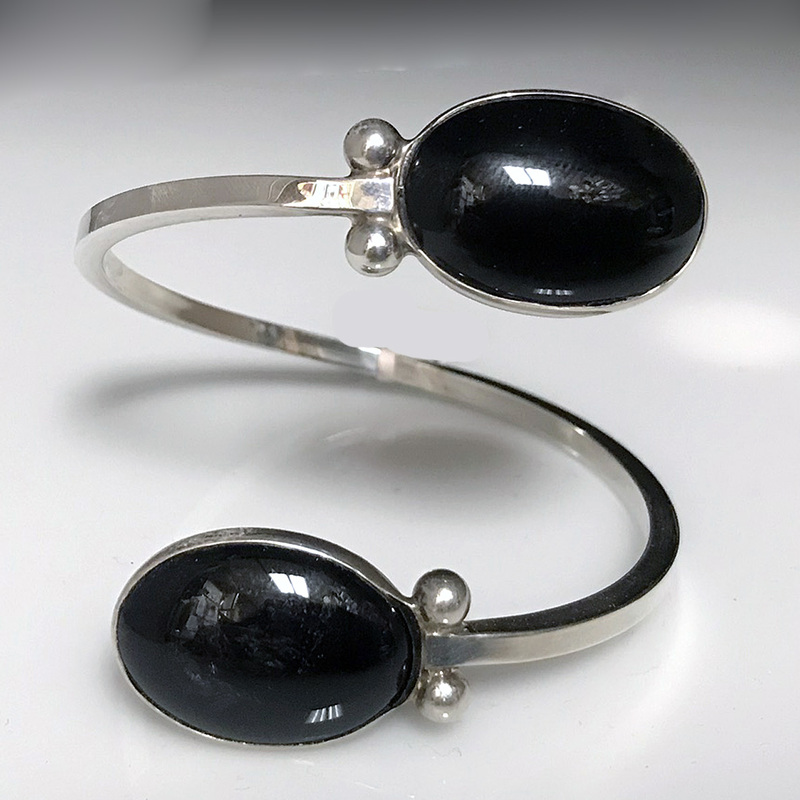 The bracelet is created from square silver tubing and accented with silver balls on either side of the fully bezeled stones. The bracelet slips on through the opening and can be adjusted to fit the wearer. 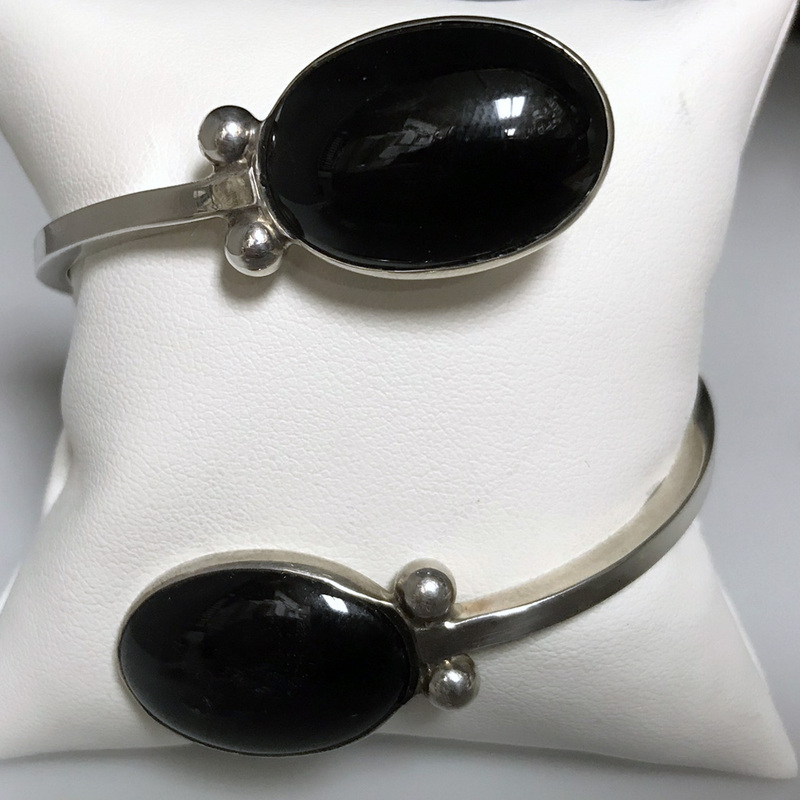 The bracelet should not be bent repeatedly, so removing it should be done by turning the bracelet to fit the side of the wrist and sliding it off. This bracelet style can be customized for your individual style. 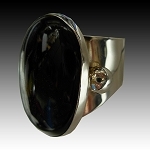 Each Black Onyx cabochon is approximately 1" long x .74" wide (25mm x 18mm).